Irritable Gul posted on Bajor during the occupation. 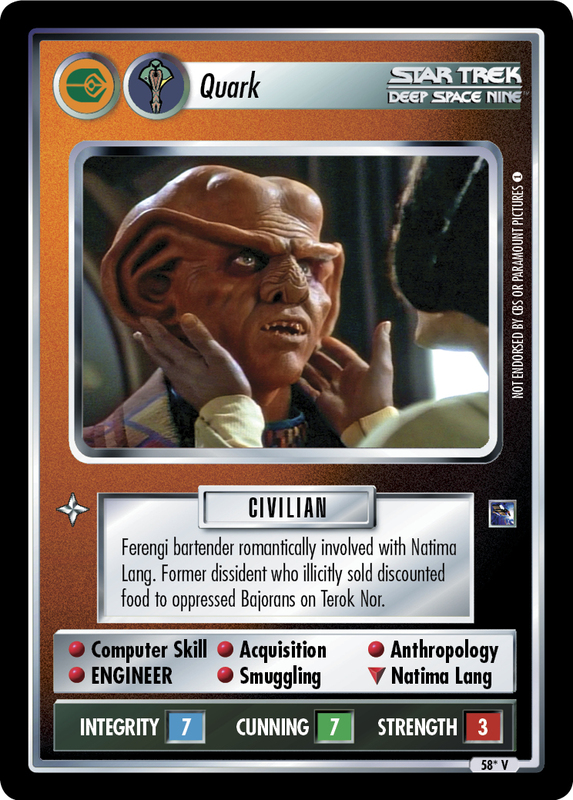 Took leave on Terok Nor in 2346. 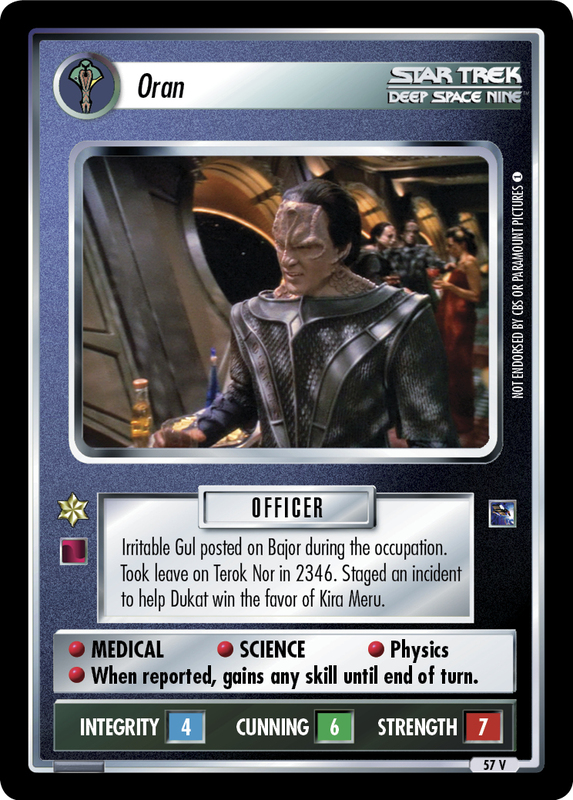 Staged an incident to help Dukat win the favor of Kira Meru. • MEDICAL • SCIENCE • Physics • When reported, gains any skill until end of turn.